The EVAP fresh airThe EVAP ventThe EVAP purgeRaise and support the vehicle. Refer toLifting and Jacking the Vehicle. Disconnect the EVAP canister fresh air hose/pipe from thefuel tank fresh air hose/pipe-(2). Refer toPlastic Collar Quick Connect Fitting Service.Disconnect the EVAP canister vent hose/pipe from the EVAPcanister. Refer toPlastic Collar Quick Connect Fitting Service. 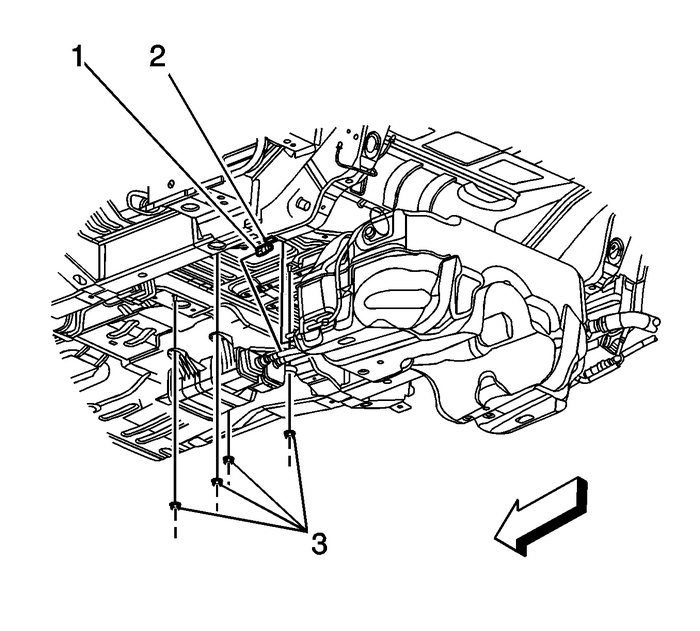 Disconnect the EVAP canister purge hose/pipe-(1)from the EVAP canister.Remove the EVAP canister-to-underbodynuts-(3).Lower the EVAP canister. 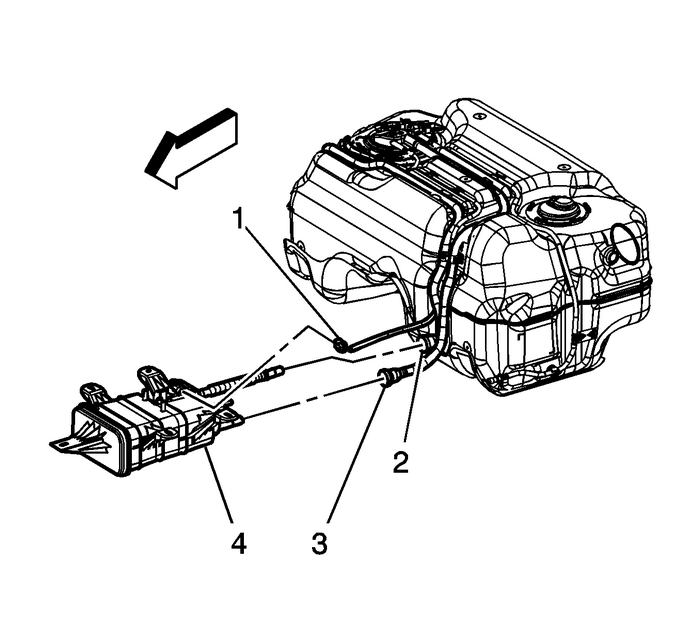 Connect the EVAP vent solenoid electricalconnector-(1).Install the EVAP canister-(4) to the underbody ofthe vehicle. Tighten the nuts to 9-Y(80-lb-in).Connect the EVAP canister purge hose/pipe-(1) tothe EVAP canister. Connect the EVAP canister vent hose/pipe-(3) tothe EVAP canister. Refer toPlastic Collar Quick Connect Fitting Service.Connect the EVAP canister fresh air hose/pipe to the fueltank fresh air hose/pipe-(2). Refer toPlastic Collar Quick Connect Fitting Service.Lower the vehicle.